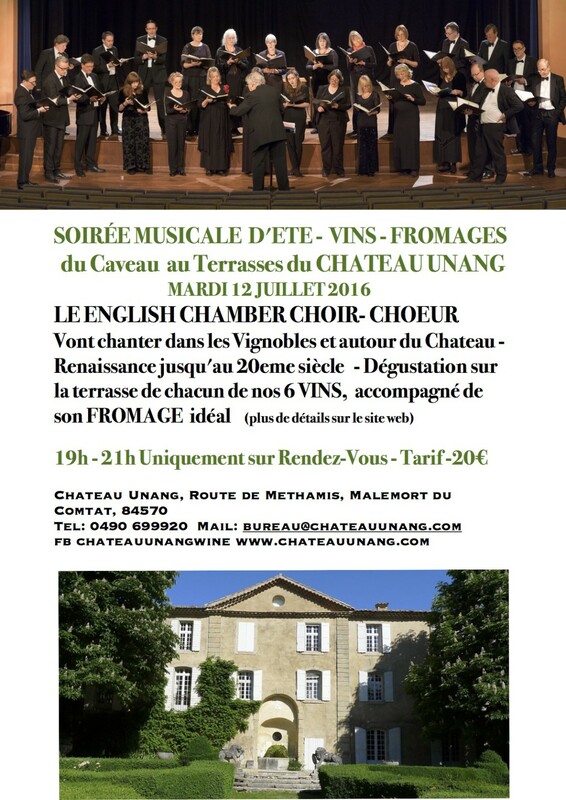 Next tuesday 12th July we are having our third summer soiree – this time we are fortunate enough to have the English Chamber Choir from London who are going to be performing in the vineyard and around the chateau. The evening starts at the cave and centres around our 6 wines and 6 perfectly matched cheeses from Claudine Vigier at the Fromagerie du Comtat in Carpentras. 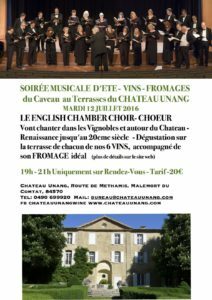 It then progresses with a gentle short walk through the vineyard with a musical pause at the 18th century bassin, before continuing to the terraces of the chateau to try the other wines and hear more from this wonderful choir. 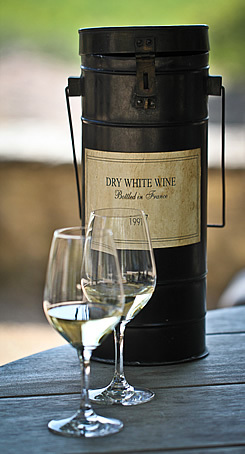 The Choir are going to be singing together and in small groups music from renaissance pieces to early 20th century well loved songs – while we try the wines and cheeses and hope that it is a sunny evening.